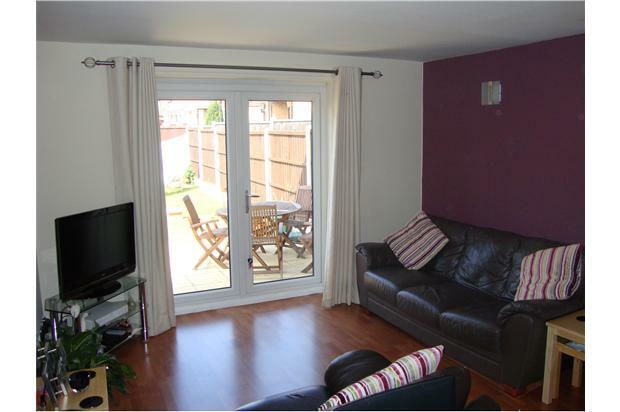 Superb 2 bedroom semi-detached house finished to a high standard. Located in a quiet cul-de-sac, the property benefits from 2 double bedrooms, double glazing, driveway for 2 cars and a beautiful south-west facing garden. Superb 2 bedroom semi-detached house finished to a very high standard, in the popular Oakwood area of Derby. Within easy walking distance of Oakwood’s shops and amenities and situated within 2-minute's walk from a direct bus service into the city centre. 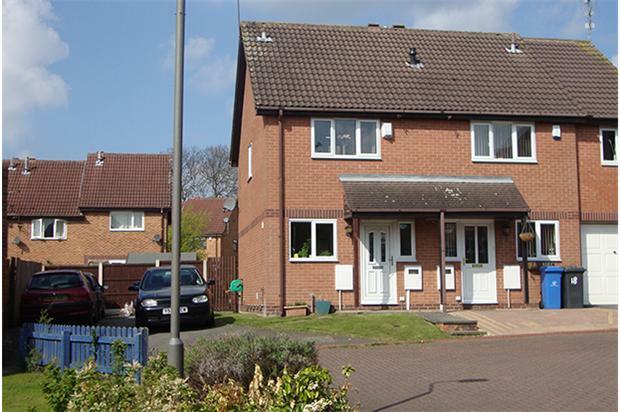 Located within a quiet cul-de-sac, the property benefits from 2 double bedrooms, full double glazing, driveway parking for 2 cars, gas central heating and a beautifully presented south-westerly facing garden. 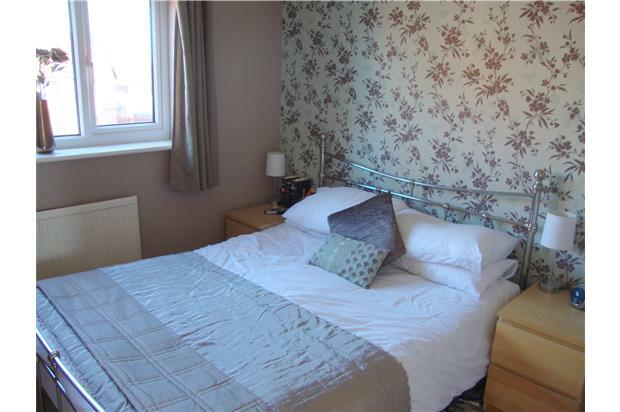 The property comprises of a modern fitted kitchen, lounge/dining room, 2 double bedrooms (one accommodates a king size bed and has fitted wardrobes) and a bathroom with modern white suite. 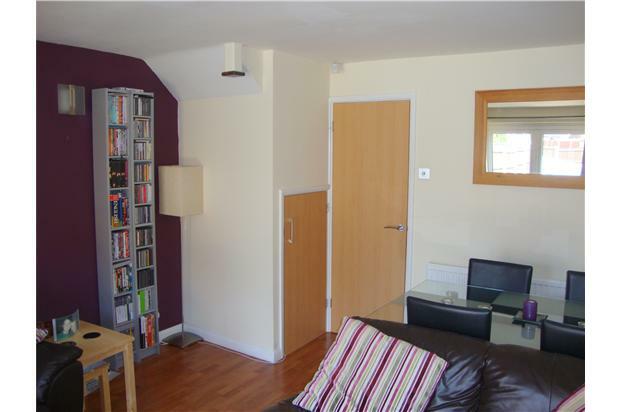 With tiled floor, double panelled radiator, central heating thermostat control, staircase to first floor landing. With French doors to the rear garden, modern wall lighting, laminate flooring, TV and satellite aerial point, 2 single panelled radiators, useful under stairs storage facility and door to the hallway. Please note the purple wall is now cream. Updated Photos to follow. Modern fitted kitchen with window to front elevation and a range of base and wall units, together with work surfaces and inset stainless steel sink unit with contemporary mono block tap. There is a stylish ceramic tiled splash back with stainless steel sockets and integrated stainless steel oven, gas hob and stainless steel extractor hood. 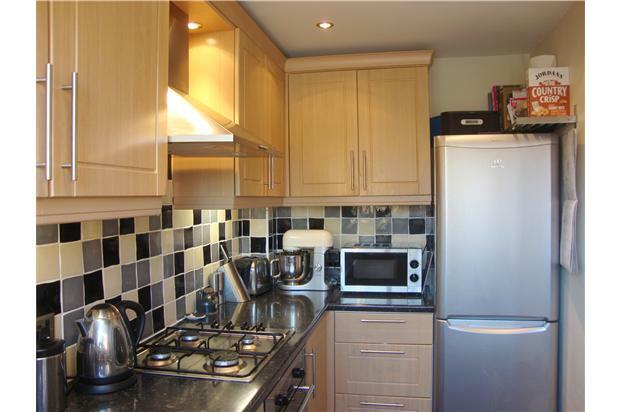 There is space and plumbing for a washing machine and a fridge freezer. With space for a king sized bed, large double glazed window to front elevation and modern built-in wardrobes and shelving unit, together with satellite aerial point. 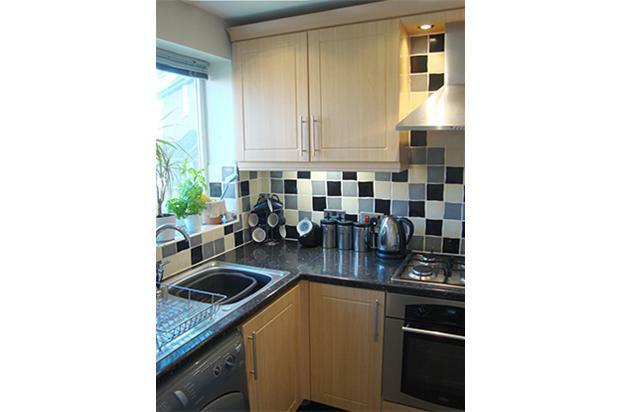 There is a single panelled radiator and cupboard housing hot water cylinder, boiler and immersion heater. 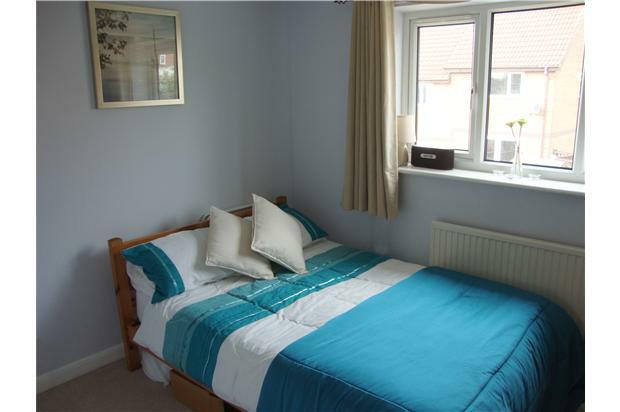 With ample space for double bed and furniture, together with large double glazed window to rear elevation, single panelled radiator and TV aerial point. 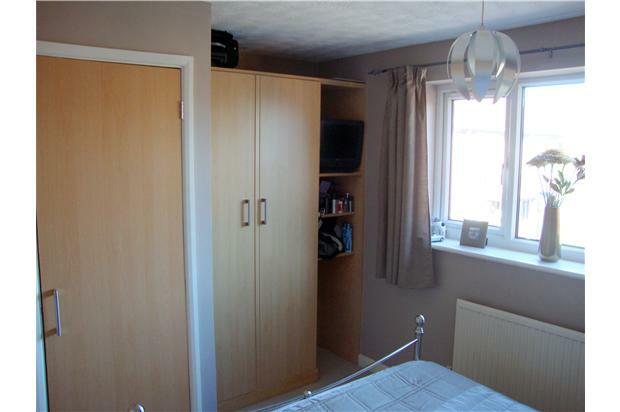 Please note this room is now painted in a neutral colour. Updated photo to follow. Fitted with modern 3-piece white bathroom suite, with panelled bath, glass shower screen, electric shower, pedestal wash basin and toilet. 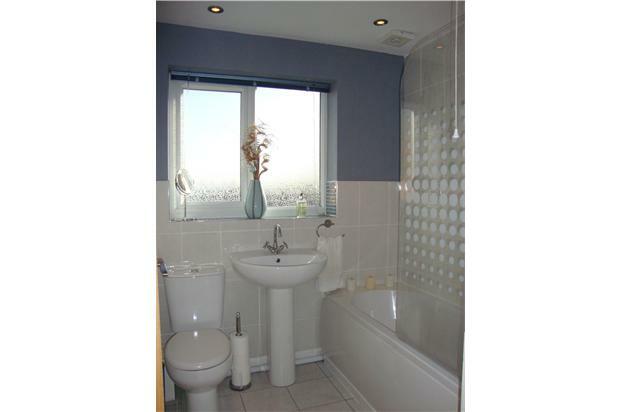 Complimentary ceramic wall tiling, spot lights, tile effect laminate flooring, extractor fan unit and chrome towel radiator. 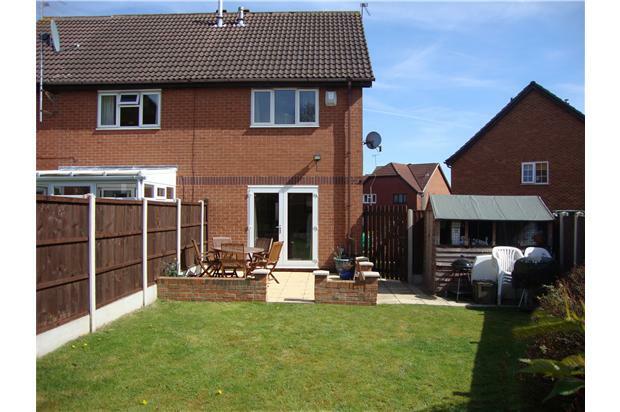 Open plan front garden laid to lawn and driveway to the side of the property for 2 cars, with outside tap. Access from driveway to rear garden. Enclosed by timber fencing, the rear garden comprises of a large walled patio area facing south-west – perfect for summer barbeques! 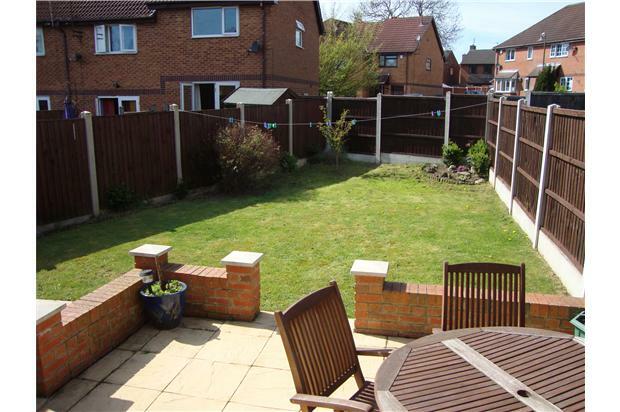 There is also a manageable lawn and borders, together with garden shed facility and an outside electrical socket. The property will be available to view from the 20th July, and interested applicants are encouraged to arrange a viewing early! Please note that smokers, Housing Benefit (HB), Local Housing Association (LHA) and student applications cannot be accepted for this property. Small pets will be negotiable. There will be a £50 (single applicant) or £100 (joint applicant) fee to cover tenant referencing and administration. Viewing: By appointment through the letting agents on the number below.